I’ve been optimizing my HubSpot portal for almost two years. I’ve made costly mistakes and learned lessons the hard way. The goal of this course is to give people tasked with operationalizing HubSpot for their company the level of consultation they’d get if they hired me to run the project. As a busy parent the last thing you want to do is guess at your child’s schedule. You want to pick them up from preschool or daycare knowing what they ate, how long they napped, and who they played with. Some schools give you a piece of paper which inevitably ends up crumbled up on the floor of your car. Munchkin Report is easy online child activity tracking for parents, caregivers, and daycare centers. 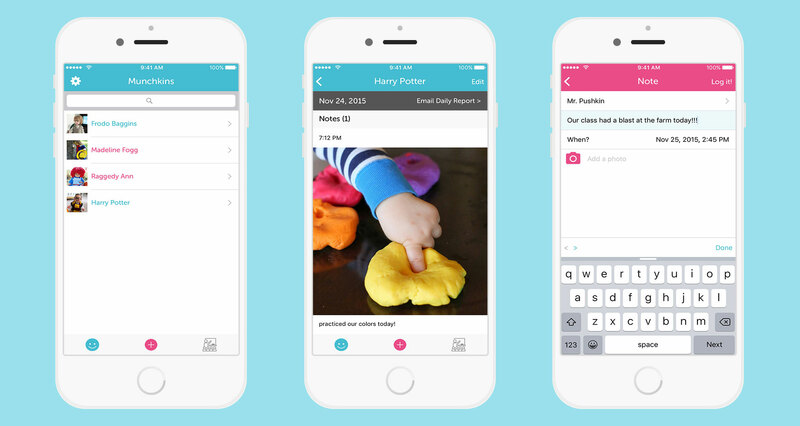 Caregivers quickly log activity throughout the day via their iPhone, iPad, or laptop. Busy moms and dads love seeing photos of their munchkins throughout the day. Parents can receive daily activity reports in their email or login on their own time. Learn Ruby The Hard Way is a book that helps newbies learn the Ruby programming language. It assumes no prior programming knowledge, so it’s excellent for beginners. It’s free to read online and only $29.68 for the paperback on Amazon. The style of this book is very unique, so if you’ve struggled with off-the-shelf programming books, give it a shot! The philosophy behind Zed’s “Hard Way” is practice and persistence through exercises and drills. It’ll be hard at first, but if you stick with it, you will get it. LRTHW is an adaptation of Zed Shaw’s original work: Learn Python The Hard Way.